(ARA) – The economic health of the country is all over the news, and people everywhere are worried about layoffs, retirement savings and the state of their financial affairs. An unemployment rate above 8 percent has everyone looking over their shoulders and counting their pennies. If you’re worried about what to do if you lose your job or just looking for ways to save money, your first step should be to talk to your bank about how you can make the most of your banking relationship. 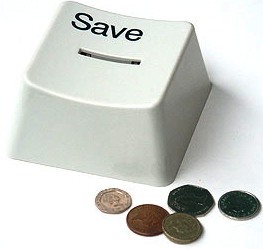 Keep track of your money and every dollar you save with services like online banking and alerts. Banks offer alerts to help you prevent unnecessary fees and to give you added protection in case irregular account activity is detected on your account. Use online bill pay services wherever you can to help pay bills on time and avoid late fees. Look for easy ways to save. Bank of America’s Add It Up program is a free online shopping Web site that rewards customers with up to 20 percent cash back on everyday purchases. If you need to make a purchase, look online for good deals (that often come with free shipping). With the Add It Up program, when you pay with your Bank of America debit or credit card, you can track your savings online and get cash back to the account of your choice. Remember to use online price comparison sites to find savings as well. If you’re in your 20s, 30s or 40s, hang tight. Keep making contributions to your 401(k) account and speak with your financial adviser about how to safely balance your investments. Keep in mind that you’re investing in retirement for the long term and try not to panic about day to day numbers or stock market fluctuations. If you do lose your job, talk to your bank right away to find out which customer assistance programs are available to you. For example, Bank of America will waive monthly maintenance fees and refund non-sufficient fund and overdraft fees if you lose your job. Take advantage of the services your bank offers like rolling over your IRA. The bank can help you maximize your investments at a time when you need it most. “Especially now, when budgeting matters more than ever, your bank can provide immediate opportunities with saving and spending that really add up and assist customers in managing their finances in the long run,” says Boss. During difficult financial times, your bank can be there to help. You can start by making a reasonable budget, sticking to it and taking advantage of the financial tools available to help you manage your finances.